When I got home I quickly did a Google search of sneaky sales tactics and came up with even more devious techniques including upselling, banner ads and psychological pricing; you know, where you’ll pay $19.99, but not $20.00. Brands conduct research, hold focus groups and try various marketing techniques to get you to buy their products. 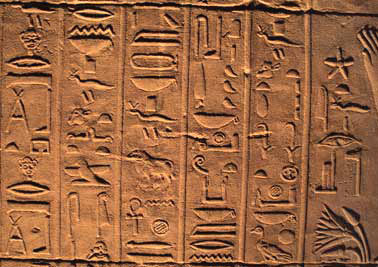 And while today’s marketing is savvier and more research driven, the same need to sell products and services has been going on since the first “for sale” hieroglyphic was painted on a stone sign. Do modern-day marketers manipulate us as some, including Vance Packard in his 1957 tome “The Hidden Persuaders” suggest? Probably, but it’s their job to find out what gets us to buy, be it words, pictures, gimmicks, contests or simply the cheapest price. Should Congress step in and regulate how brands advertise? Perhaps limit the discounts, control the banner ads and only allow prices in whole dollars, none of this psychological pricing BS? Balderdash. It’s an aberration to use the words Congress and free-market in the same sentence since nothing is free when Congress gets involved. I’ve got an idea. How about people take responsibility for themselves and not blame music in the store or a coupon for blowing their budget. No one is forcing consumers to buy and it could be argued that sales, discounts and BOGO’s help people spend less if they simply purchase what they need in moderation. Are there people out to scam us? Of course there are, but it’s not likely they’ll use a BOGO to do it. I know this post may sound snarky (love that word! ), but it’s not meant to be. What it boils down to for me is ethics and honesty. Brands want to sell you their products and services and if done in an ethical and honest manner it’s a win-win for everyone. As a consumer, do your research, have a budget and stick to brands you trust. The old saying is still true, there is no such thing as a free lunch. « What do a Whoopee Cushion and a Brain Have in Common?